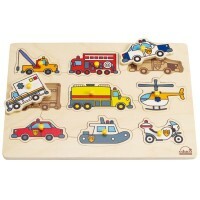 Each of the 8 wooden vehicles puzzle pieces has a peg on it, making it perfect for the little hands. 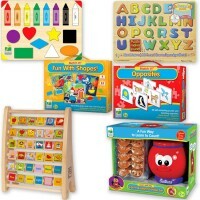 Refine your toddler's small motor skills, spatial sense and introduce different means of transportation with our new Vehicles Peg Fresh Start Wooden Puzzle by Melissa & Doug. 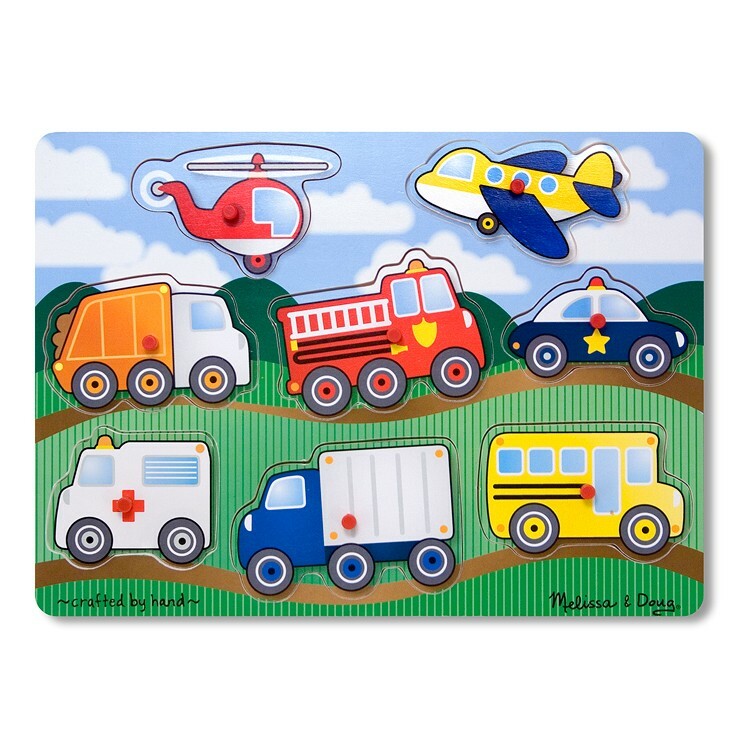 This quality wooden puzzle from the Fresh Start toddler puzzle series will entertain your young child while he/she has fun playing with the emergency vehicles, trucks, school bus, helicopter and airplane from this colorful puzzle. 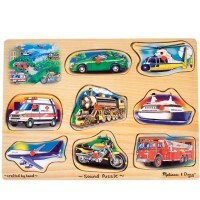 Each of the 8 wooden transportation puzzle pieces has a peg on it, making it perfect for the little hands. 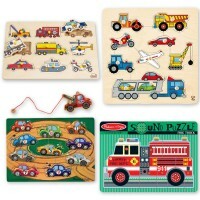 This toddler vehicle puzzle from Educational Toys Planet features the same pictures of cars and trucks on the puzzle board to help your child to find the correct spot for each puzzle piece. The Vehicles Peg Fresh Start Wooden Puzzle meets all U.S. toy safety standards. 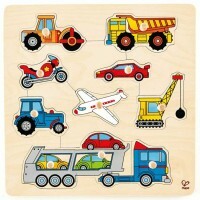 Write your own review of Vehicles Peg Fresh Start Wooden Puzzle. 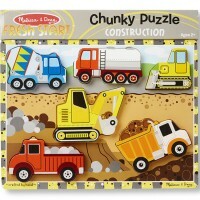 Rating: 5 Lots of fun by NJ Gma Our little guy loved playing with the puzzle pieces. He is not quite ready to put them in the right spots but it won't be long. 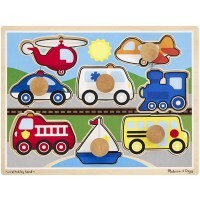 Rating: 5 by Crystal, PA My grandson loves cars so I think he will like this one. 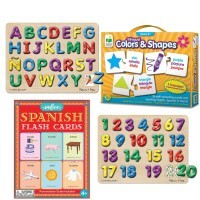 Seems well made.